1. Recharge from the sun by connecting a compatible solar panel (Sold separately). 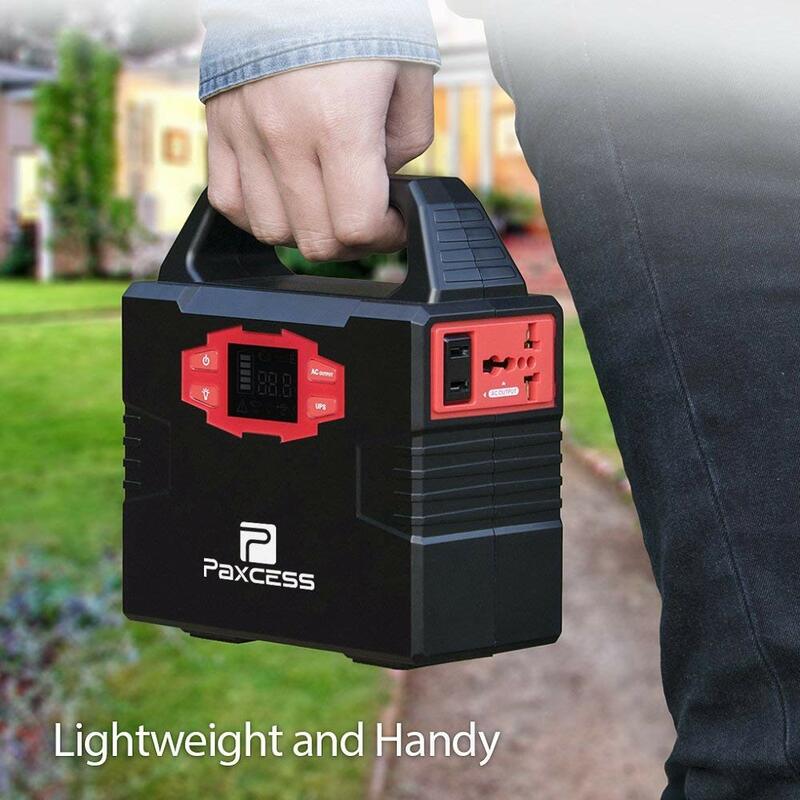 Use Paxcess 50W solar panel will fully recharge the battery in about 7-9 hours and does not need other adapters. 2. Plug it into the wall. Fully recharges in about 8 hours. 3. 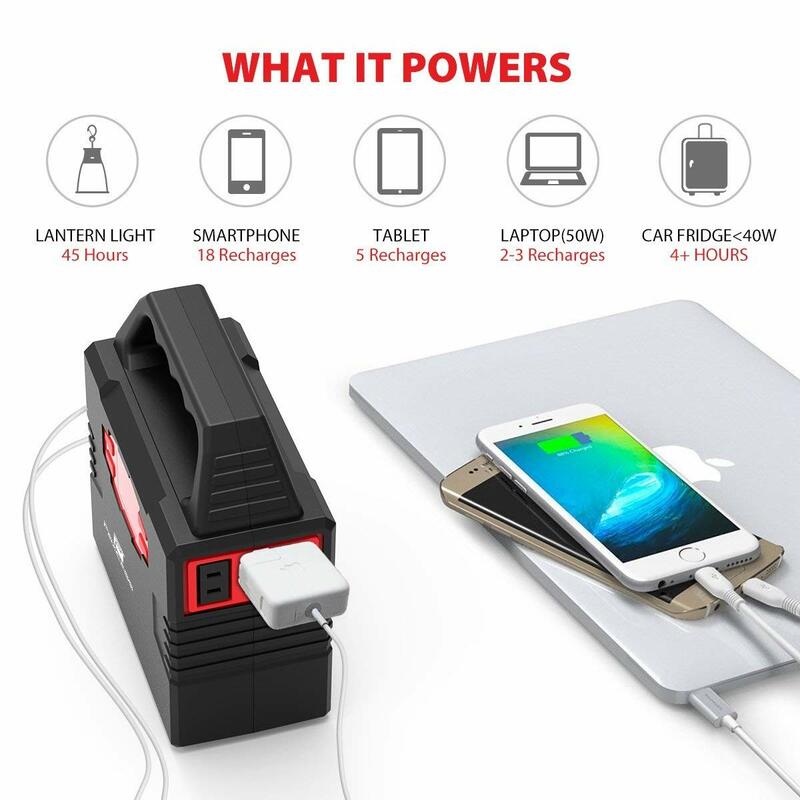 Recharge from your car 12V adapter in about 9 hours. 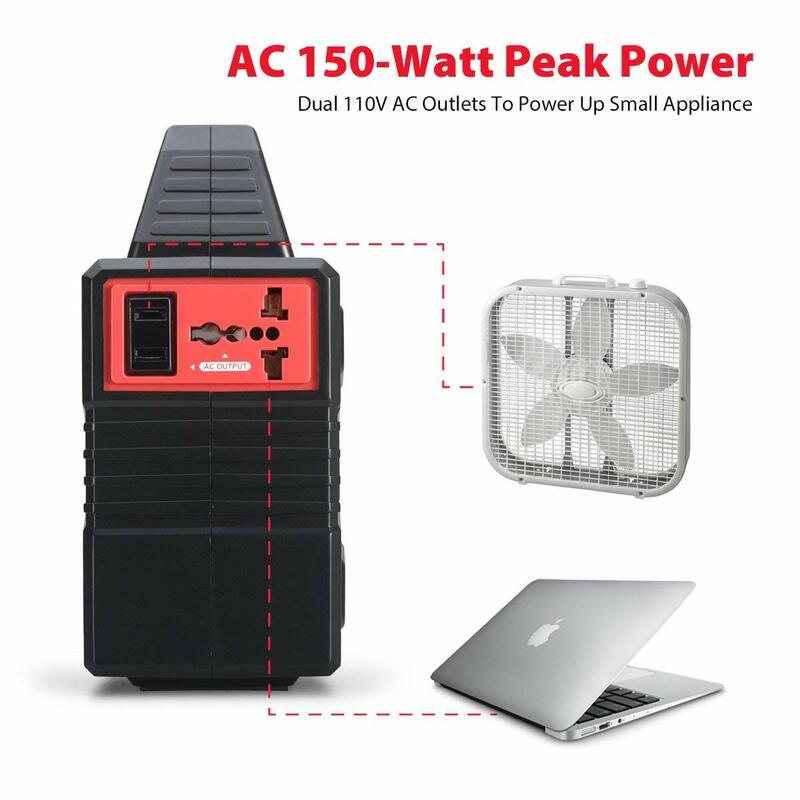 Dual 110V AC (Continuous 100-Watt /Peak 150-Watt) for your laptops, box fan, camping lamp, camera battery, etc. 2* 5V USB ports for phones, iPad, gps, mp3, camera, rc helicopter etc. 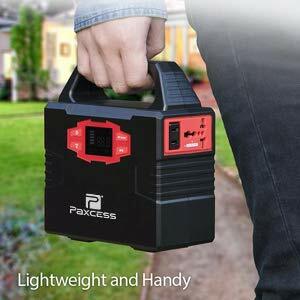 Only weights 3.3lbs and ideal size for traveling. 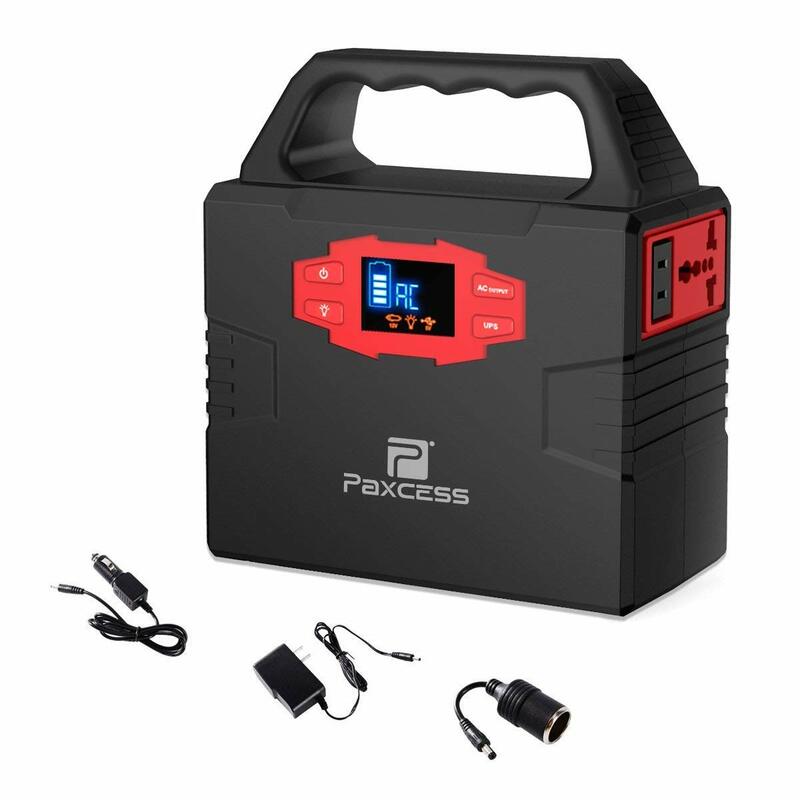 Paxcess power station has two ways to power your CPAP machine: 110V AC Plug or 12V DC Plug. 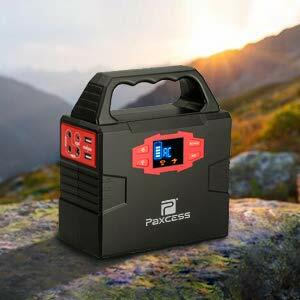 We strongly recommend that CPAP users use DC converter to work with this power station and turn off or remove the heater/ humidifier, and it should last at least 1-2 nights. 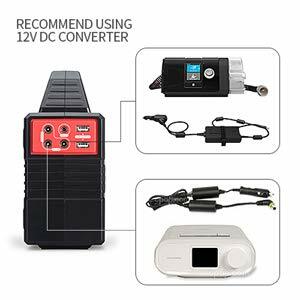 To buy the DC converter, please consult with your CPAP supplier or find it on Amazon or simply contact us for a guide. 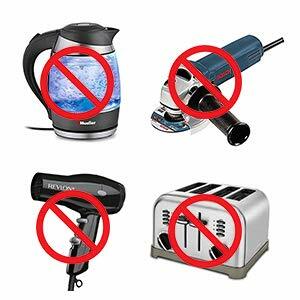 Please ensure that your AC devices do not exceed 100 watts, otherwise the power station will automatically switch off the AC inverter for protection. 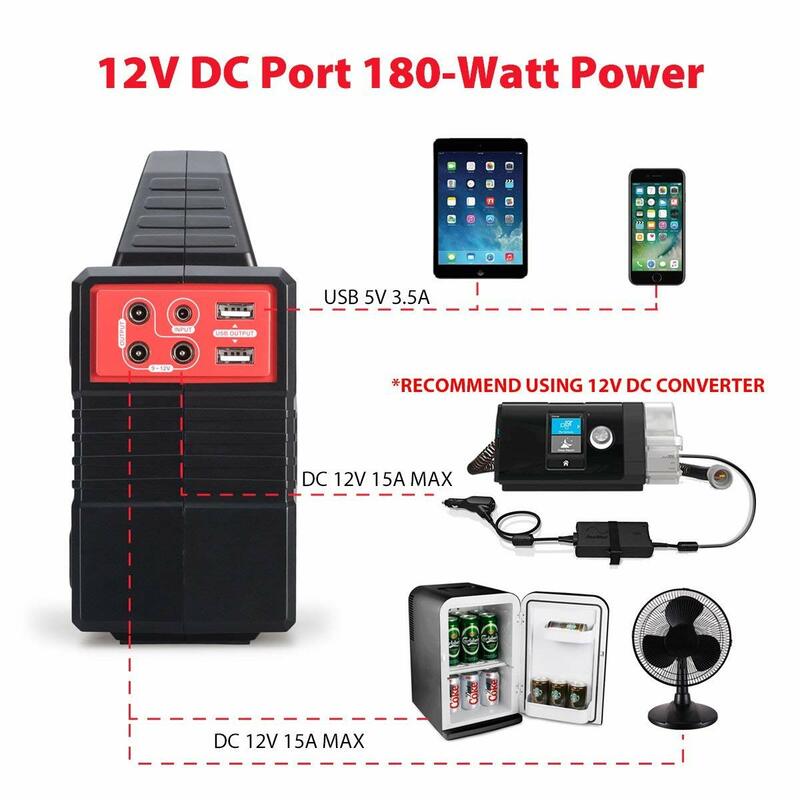 If you need high power versions power supply, please contact us or search in our store. 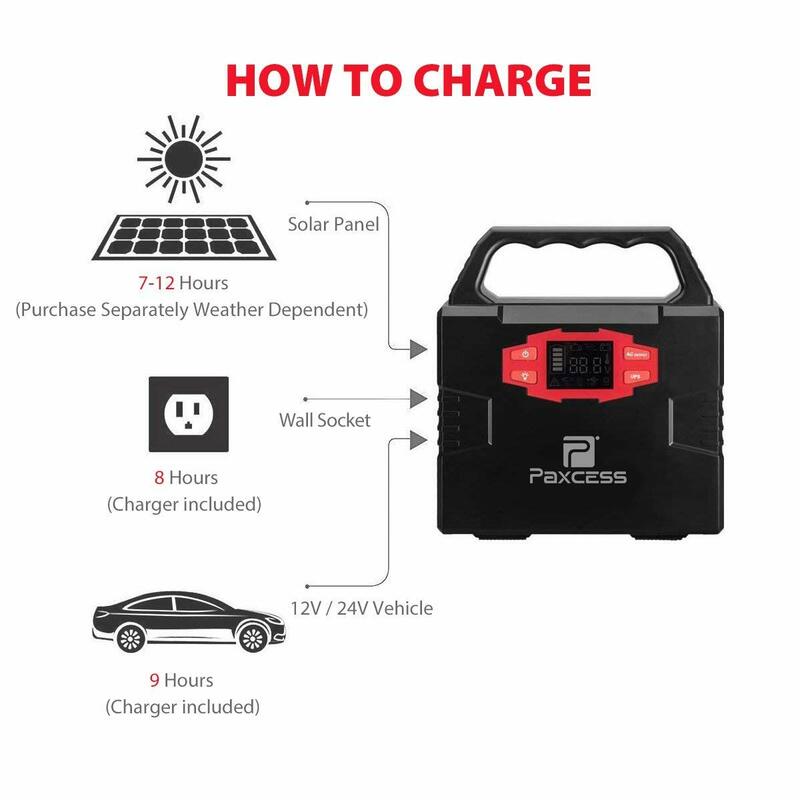 Connect the Paxcess 50W solar panel (sold separately) and Paxcess Power Station directly (No other adapter required), it can be a silent and gas-free solar generator; you can also connect it with Renogy 100 Watts Solar Panel via DC 3.5X1.35 to MC4 connector (sold separately).